Three days after becoming the youngest woman sworn into Congress, Alexandria Ocasio-Cortez sat down with Anderson Cooper for a landmark interview on 60 Minutes. After talking about her progressive political history, Cooper asked about paying for “radical” initiatives like free public education and the proposed “Green New Deal.” Ocasio-Cortez then floated the idea of a 60 to 70 percent tax rate for the “tippy-tops” of the income scale. Though a 70 percent tax rate sounds menacing, in the grand scheme of the American economy, it’s fairly modest. Most of the rage towards the proposed rate is rooted in a misunderstanding of how tax brackets work. When the phrase “70 percent tax rate” is thrown around, most assume that this rate is applied to the entirety of the income for the top tax brackets , making the taxation seem like a greedy front against those in the top bracket. Within days of the interview airing, multiple Republican congressmen criticized Ocasio-Cortez’s plan in an uproar. “Take away 70 percent of your income and give it to leftist fantasy programs,” House Minority Whip Steve Scalise said describing Ocasio-Cortez’s plan. In reality, only a small piece of income is taxed at a 70 percent rate. Brackets are in place to regulate the tax on portions of income. If you move past a bracket, and your income moves up into the higher rate, only the chunk moving into that bracket receives that higher tax, not the total income. For example: If you made $19,000 in 2013, that would have been split into two tax brackets at 10 and 15 percent. The first $17,850 would fall under the first bracket and would have been taxed at 10 percent. After the designated 17,850 income mark, the $1,150 over the first bracket would have been taxed at 15 percent. This confusion of marginal tax rates represents a gross ignorance of our own tax history. According to data from the Tax Foundation, in the 1950s the United States had 26 different tax brackets, with rates up to 91 percent for the top bracket. Previous decades brackets were based on a simple structure: if you make more money, you have more disposable income, therefore, you should contribute more towards your taxes. Towards the end of the Reagan Presidency, the number of tax brackets dropped dramatically, from 15 brackets in 1986 to five in 1987. This push for a “simpler” tax system also decreased the top tax rate from 50 percent to 38.5 percent and raised the lowest bracket rate from 0 percent to 11 percent. Since the late 1970s, American income inequality has been on the rise, and these intense tax changes during the Reagan era only widened the gap between the 1 percent and 99 percent. According to the Center on Budget and Policy Priorities, after tax income for the top 1 percent of households increased 242 percent from 1979 to 2015. In comparison, the middle 60 percent income population remained unchanged after bracket reduction, and has only gone up 46 percent in the same 36-year span. After the dramatic drop in 1986, the brackets have remained relatively the same. Bracket numbers have ranged from two to seven and rates for the top span between 28 and 39.6 percent. With this history of changing brackets and rates in mind, as well as the increase in the hyper-wealthy 1 percent, Ocasio-Cortez bringing this 70 percent idea to the forefront and reverting back to progressive standards could revive the suffocating middle class. Taxation should be about paying forward your equal share to contribute to common goods like funding public schools, keeping national parks clean and maintaining essential public services, which include water and sewer systems. To fight against taxation would be to neglect all the necessities given to society through the tax system. The United States is a country made up of a small percentage living in extreme excess, essentially having control of the direction of the economy, and a large number of people who struggle to get everyday necessities. Some of those living in excess are in our own government. Secretary of Education Betsy DeVos owns multiple boats, one of them valued at $40 million, and has assets valued at at least $580 million, according to Bloomberg. She’s a figure who is supposed to represent the country, but instead, is living proof of a broken system that only functions for the few. A higher rate might seem extreme and “radical” to some, but for others, it’s common sense. A poll conducted by POLITICO from Feb. 1-2 showed that 61 percent favored Elizabeth Warren’s “Wealth Tax” proposal, while 45 percent favored the tax rates laid out by Ocasio-Cortez. 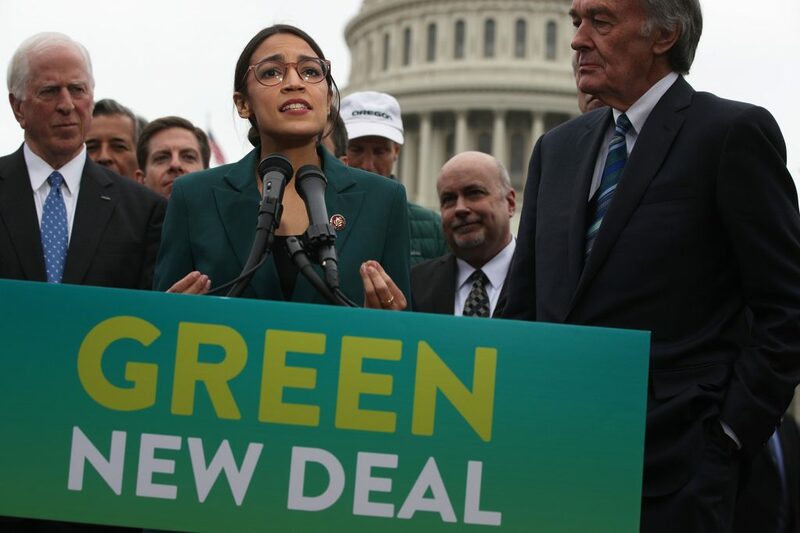 Even if these exact plans don’t come to fruition, having members of Congress like Alexandria Ocasio-Cortez addressing a future without gross inequality brings hope. The ultimate goal of a 70 percent tax rate is to end the overly lavish lifestyle for a small chunk of the population and bring the country to a more even playing field economically. It’s about reducing inequality. Jeff Bezos shouldn’t be buying a house with ten bedrooms while there are people working multiple jobs who can’t even put food on the table.